Rabbi Stanley Halpern addresses the crowd at the barbeque, while the cantor, Juliette Nehring, sings liturgical music and leads prayer. 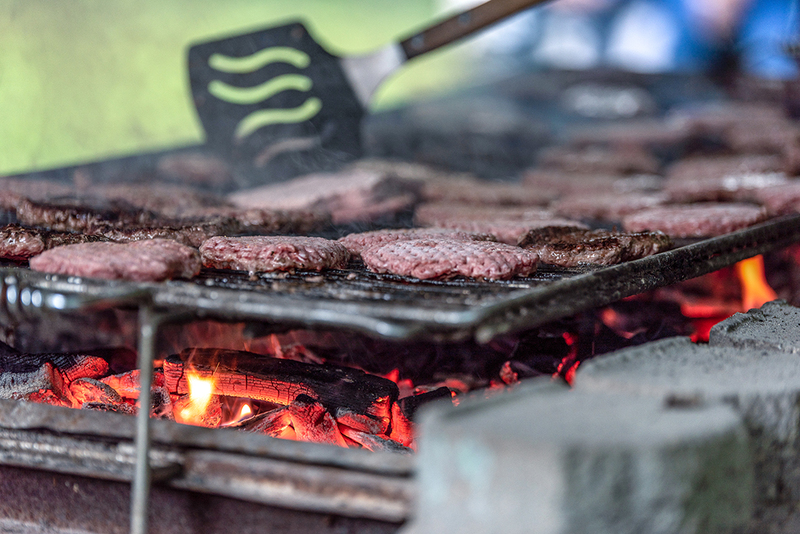 The congregation provided grilled hot dogs, hamburgers and veggie burgers, among other food. 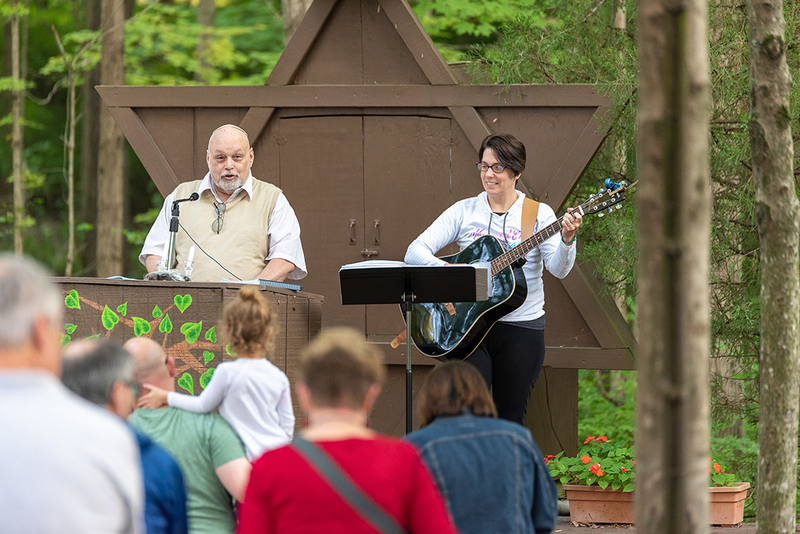 Congregation Beth Shalom hosted its third annual barbeque dinner Sept. 28 at Goldman Union Camp Institute in Zionsville. The inter-generational congregation is at West 96th Street in Carmel, near the border of Indianapolis and Carmel. 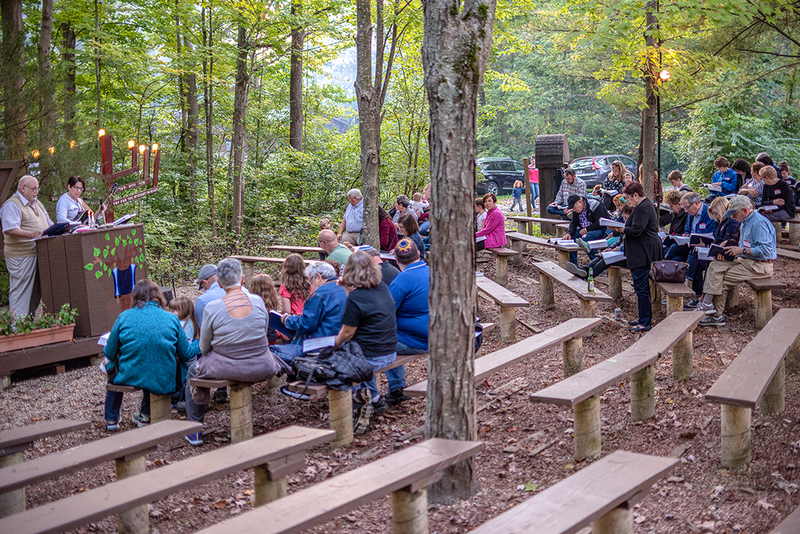 Founded in 2010, the synagogue practices Reform Judaism and is dedicated to fellowship, worship and inclusion. Congregation President Beth Lande estimated more than 100 people attended, including 20 guests. Attendees enjoyed food and beverages and a hayride. The congregation also collected food for Washington Township schools. “We always try to do a social action connection when we have an event,” Lande said. She also noted that GUCI is affiliated with the Union for Reform Judaism, the congregational arm of Reform Judaism in North America.